When making a serious tribute in the Officer's Lounge, you'll need the proper mug... An Eagle Mug. 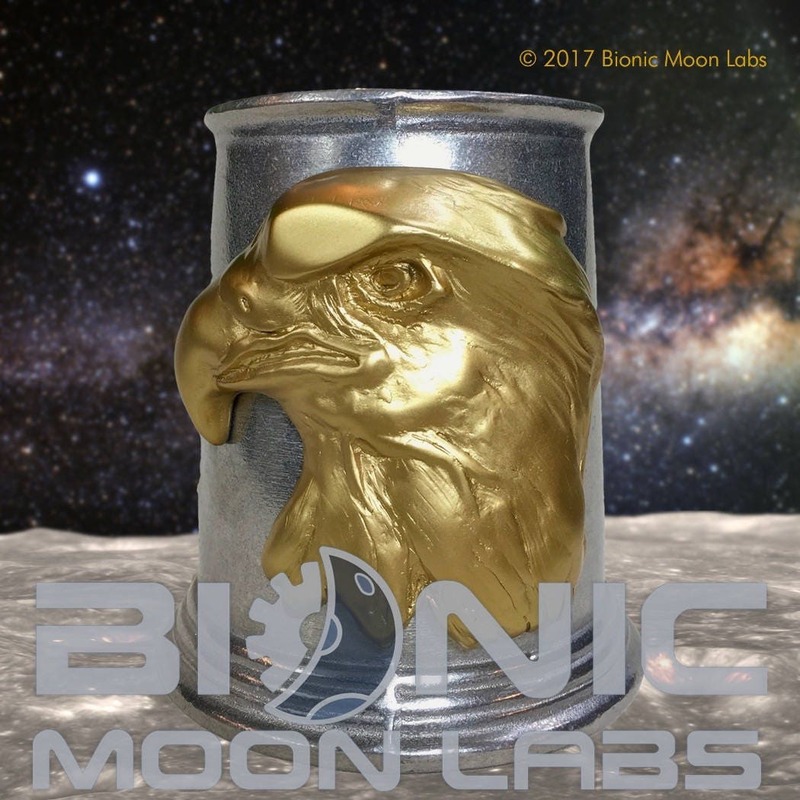 This replica resin Eagle Head is cast in black resin, painted gold and affixed to an authentic metal mug using high strength epoxy. Weight is approximately 1.3 pounds. Each Eagle Head Mug is made to order, marked, individually numbered and issued with a Certificate of Authenticity as an original Bionic Moon Labs reproduction. No refunds or exchanges are offered. This is a prop replica and no claim is made regarding its accuracy versus the screen used item it represents. It is an artistic recreation. Sometimes, Etsy calculates excessive shipping for multiple items. If you have any concerns on the quoted shipping charges, please contact us for pricing. If necessary, will can create a custom order with proper shipping charges. We believe that prop building is an art, not a production line. We also believe that flaws are beautiful and they are the essence of what makes something truly unique. Be advised, all of our items have characteristics which make them unique and represent their journey from individual components to a completed piece of prop replica art. If you are the type of collector that demands literal perfection, please look elsewhere. Each item we create is as unique as each of us... beautifully flawed. Superfast delivery & looks great.